The Exile-R is load rated for commercial vehicles and an ideal partner for VW T5, Vauxhall Vivaro and Renault Trafic. Another great job completed by Van-Tech! Check out the before and after picture of this van and see what a difference a new set of wheels could make to your van! 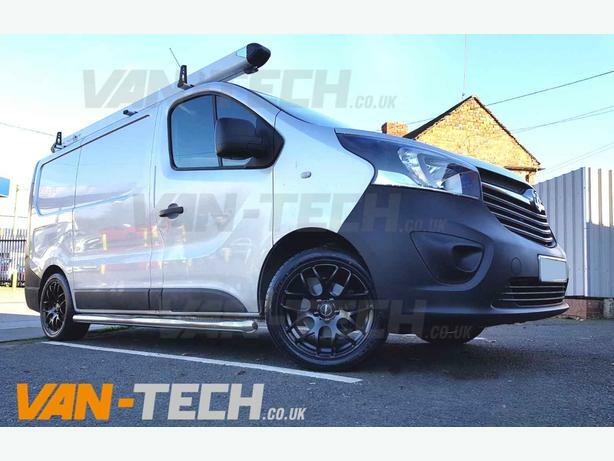 Email sales@van-tech.co.uk or call 0121 550 4628 to enquire about fitting costs and availability.